Damien Hirst has taken spot painting to the next level in a new series of works created in pointillist style blobs of vividly coloured paint that he describes as “big abstract Bonnard paintings”. The “veil paintings” are due to go on show at Larry Gagosian’s Los Angeles space on 1 March (until 14 April), in what will be Hirst’s first exhibition in the US since returning to the gallery in 2016. His last show there was The Complete Spot Paintings in 2012. Hirst also draws parallels with the album cover the British art director and graphic designer Peter Saville created for Joy Division’s Unknown Pleasures. “If you look closely the paint is like mountains and valleys on an insane coloured planet,” he says. The new works recall Hirst’s Visual Candy paintings from the 1990s, daubed paintings that reference both Impressionism and Abstract Expressionism. 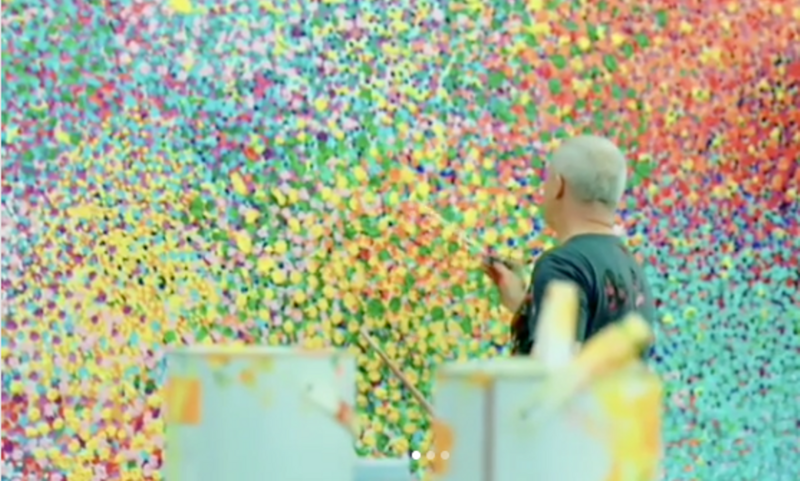 Hirst has also been working on a new series of “colour space” canvases, inspired by his early spot paintings, which go on show next month at Houghton Hall in Norfolk. His first spot painting, created in 1986, two years before he conceived and curated the trailblazing Freeze exhibition, was loosely painted with dripping pigment, “not minimal at all”, Hirst says.